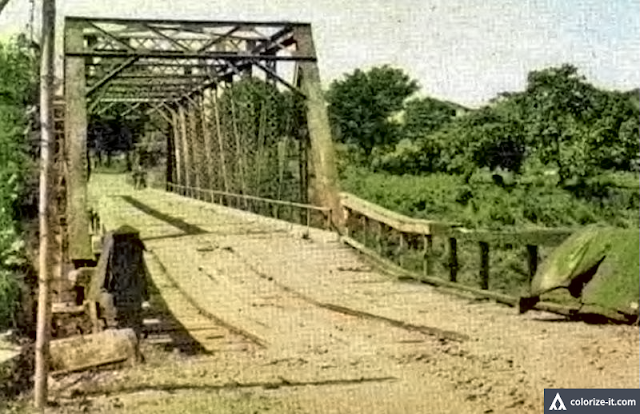 A photo of the Palico Bridge in Nasugbu soon after the landing of troops at the beaches in 1945. Image source: "The Angels: History of the 11th Airborne Division 1943-1946." On 31 January 1945, forces of the United States 8th Army landed on the beaches of Nasugbu. The purpose of the landing was twofold. Primarily, these troops were meant to block the retreat of Japanese troops forced south by the advance of the United States 6th Army from the north. If viable, the forces could also drive north in support of the 6th Army1. By 8:15 that day, after an hour of shelling the beaches, landing crafts started ferrying troops to the shores of Nasugbu. By 9:45, the entire town, along with its landing strip, was completely in American hands. US Army troops had marched into the town to tumultuous greetings from locals. As much as these soldiers would have liked to have soaked in the warm welcome, they had to move on to take advantage of the Japanese troops’ withdrawal, caught by surprise as they were by the landing. By 2:30 in the afternoon, whilst the 8th Army’s heavier equipment was still being offloaded from landing crafts at the beaches of Nasugbu, troops of the 188th Glider Infantry Regiment2 had hiked eight miles inland from the beach to the Palico River Bridge. For those not familiar with Nasugbu, the Palico area is on the outer fringes of the town’s territory and was likely so named because of a road that wound around hilly terrain. That the Palico Bridge remained intact would be crucial to how subsequent events would unfold. Speed was of the highest essence to the Americans. 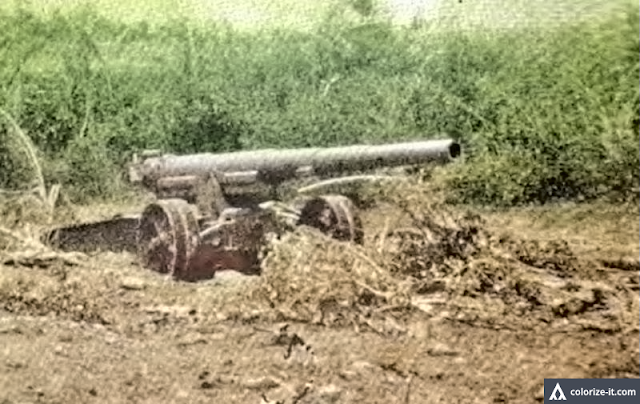 The landing of troops at Nasugbu, Flanagan explained, was something of a “strong reconnaissance.” What this meant was that one regiment would be sent ashore to test resistance from the Japanese, with the option to withdraw if defenses were strong. By noon, when it was evident that the Japanese had been caught by surprise and had withdrawn up to the mountains, American commanders decided to fully exploit the situation. Abandoned Japanese artillery at Barrio Aga, Nasugbu. Image source: The Angels, a History of the 11th Airborne Division. Colorized courtesy of Algorithmia. Over the next few days, after fierce fighting, the Americans would clear Tagaytay and drive on to Manila to support the United States 6th Army. After the Battle of Manila, the Americans would turn their attention on the liberation of Batangas. READ: How Batangas was Liberated by Allied Forces from the Japanese in 1945. 1 1 Most of the information in this article is taken from “The Angels: A History of the 11th Airborne Division 1943-1946,” by Major Edward M. Flanagan Jr., published 1948 in Washington. 2 The 188th Glider Infantry Regiment was a World War II group of the United States Army assigned to the 11th Airborne Division. Wikipedia. 3 G-2 is an intelligence unit of the United States Army. Wikipedia. 4 A defile is a narrow passage between hills, rocks and cliffs. Merrian-Webster.